Ed Sheeran’s song ‘Castle on the Hill’ plays in my head as I take in the view from The Waldorf Astoria Edinburgh – The Caledonian. Clinging to the craggy outcrop of an extinct volcano are the imposing fortress and mottled sandstone buildings of the Edinburgh Castle. The Caledonian, or the ‘Caley’ as its affectionately known, proudly boasts more rooms with views of the 12th century castle than any other hotel in town. Sheeran’s song is about a different castle in a different town, but every time I hear his words, I’m taken back to my stay at the Caley. 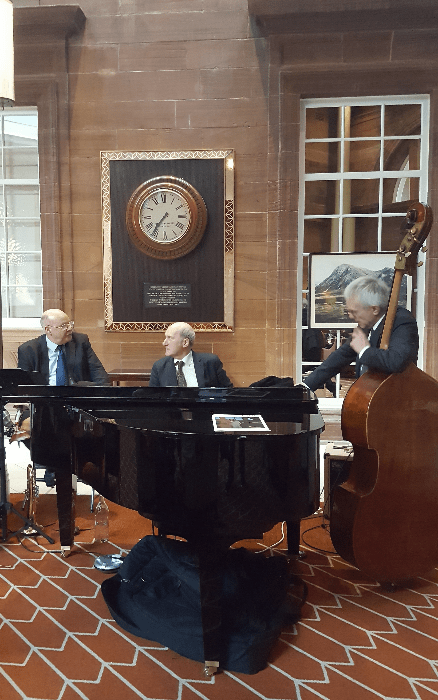 On Saturday evening a trio of musicians play soothing jazz tunes around the grand piano. I’m in Peacock Alley, a lounge just beyond the hotel’s foyer. As I sip my chilled glass of wine, I’m wondering if they take requests.